With bands like Dearist, Beaumont and seemingly countless others at the helm, the Britrock mantle already feels as though it’s being taken up by far more capable hands, moving aside the polished, overly-earnest brooding that once saw its time in the spotlight and replacing it with tangible, genuine emotion. Now added to that ever-growing list is Bristol’s Pushing Daisies, with an EP two years in the making following the turbulence of losing family members and mental health issues. And on Take Me Back To The Light, it really feels as though that’s all been channelled for an immensely compelling emo release. This is the sort of heady, dense emo that projects this sort of thing wonderfully too; there’s an unfurnished quality to Bert Martinez-Cowles’ vocals that can carry a world-weary reservation on a track like Picture Frames just as well the screams on Night Masquerade that clearly come from a place of genuine emotion and catharsis. There’s depth here that allows the openness and power to be balanced out excellently. As for production, there’s enough worn, earthen texture to fully accentuate the weight of these songs. The likes of Fears and Crickets have the surging, reverb-doused quality of a band like Citizen, and that translates to a similar conceptual heft. Drums clash and guitars power their way through, washed-out and writhing in feedback, and it fits into the rough-hewn mould that Pushing Daisies have almost perfectly crafted. It might be the only method they have at their disposal as of now, and it’d certainly be interesting to see where the band can go when they fully acclimatise to something of their own, but they’ve started on the right foot nonetheless. Already, there’s a great deal of promise here that sees Pushing Daisies surging out of the gate. As far as emo revivalism goes, Take Me Back To The Light isn’t a banner release by any means, but it’s indicative of a band who have the potential to pull out something truly excellent very soon. It’s still a very worthwhile listen regardless, particularly in the case of a band who should be getting some well-deserved recognition before long. 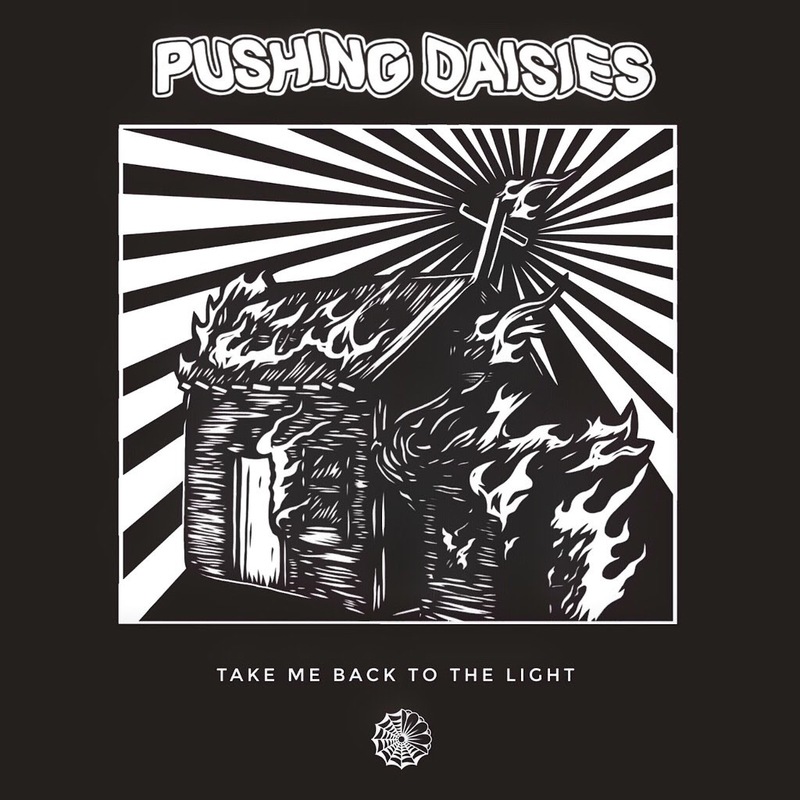 ‘Take Me Back To The Light’ by Pushing Daisies is released on 11th May.